Star Wars is a ridiculously popular franchise. Judging by the Disney showcase I went to yesterday, it is apparent that there is a ton of stuff coming for fans of all ages. However, Battlefront is definitely going to get all the fans who like Star Wars and like shooting things. EA is banking on it, too, based on a recent earnings call. More and more, as we see digital start take a hold with our consumers, that preorders become less of a key indicator. 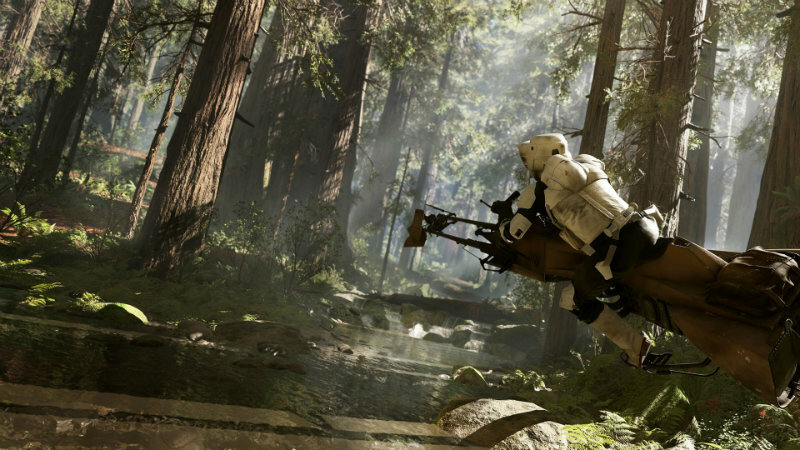 Battlefront is coming to PC, Xbox One and PS4 on 17 November, just a month before the new movie releases. Everyone who buys Battlefront will also receive a free expansion called The Battle of Jakku, which is based on said movie. Yeah, there’s a lot of tie-in, but it makes sense; thanks to the hype of the franchise and the game and movie release coming so close together, EA is expecting Battlefront to sell 9-10 million units by 31 March 2016. That estimate sounds about right, but I’m still surprised about pre-orders. I’m sure Battlefront will be fun, I’m not going to argue that. I just have seen too many people burned lately with the launch of multiplayer games. Thanks to digital options or retailer estimates, surely it’s safe enough to buy once reviews hit and you know the game is functional and awesome? Then again, who am I to talk – I still pre-order more games than I care to admit. And the Collector’s Editions. I suppose we’re all suckers.